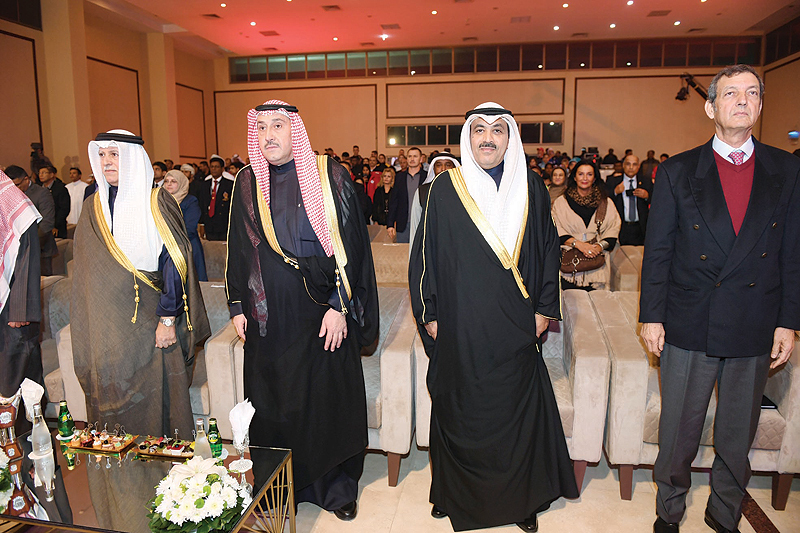 KUWAIT: HH the Amir Sheikh Sabah Al-Ahmad Al-Jaber Al-Sabah 8th International Shooting Grand Prix opened on Saturday evening. 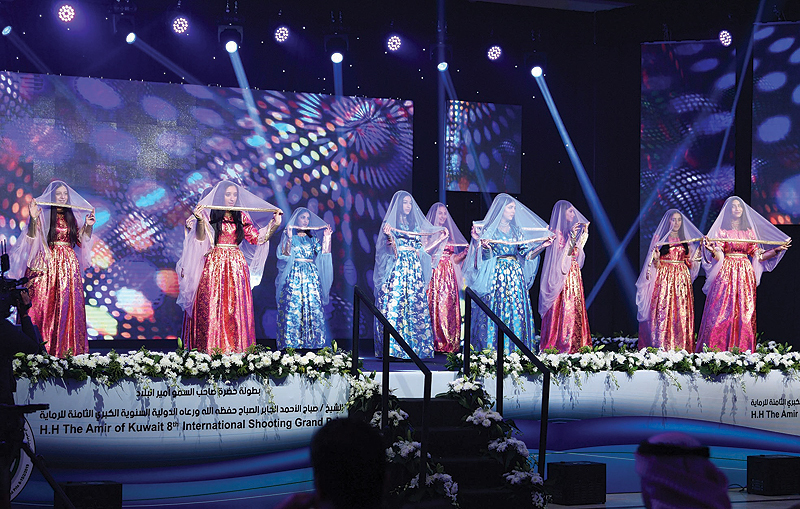 Representative of HH the Amir, Sheikh Faisal Al-Humoud Al-Malik Al-Sabah, said after the opening ceremony he was proud to represent HH the Amir in this event which has 420 shooters representing 42 countries participating. He said the patronage of HH the Amir of this tournament reflects the keenness and interest of the political leadership in youth in various fields. He said the large international participation shows how important and precious this tournament is. Director General of Public Authority for Sports Dr Humoud Fulaiteh said Kuwait Shooting Sport Club Organization of this tournament comes as a continuation of its outstanding performance be it in housing the largest sports events or achieving good results in various places. Fulaiteh urged local federations and clubs to care for improving the technical level of national teams in order to make more achievements. Meanwhile, President of Arab and Kuwait Shooting Federations Eng Duaij Al-Otaibi lauded the Amiri patronage of this championship for making it one of the important championship in Asia. The official competitions began yesterday with the competition of 10m air rifle for men and women, 50m men pistol and 10m air pistol that in addition to official training for men and women’s trap. President of Egyptian and African Shooting Federation and First Deputy of Arab Shooting Federation President Maj Gen Hazim Hosni lauded the opening ceremony, adding that all expect surprises by Kuwait Shooting Federation. He said Kuwait has the best ranges at world level. Italian shooter Ferrari Petroni lauded the shooting complex, adding that his participation won due to its reputation. He said that he recently won third place in World Cup, and this pushes him to win a medal in the Grand Prix. Kazakhstan shooter Emilia said she has lots of information about Kuwait shooting in general and the Grand Prix in particular, as Kazakhstan is keen on participating in the Grand Prix, which includes many world shooters. She said the timing of the tournament is ideal and provides a good opportunity to get ready for the season.